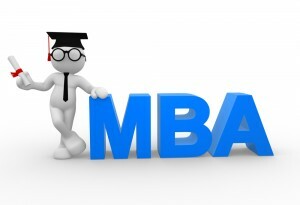 Become Career » What Jobs Can You Get With an MBA? What Jobs Can You Get With an MBA? Once a person has decided to rise to the pinnacle of capitalism and attain a Master of Business Administration (MBA) the next logical step is to find out what jobs you can get with an MBA. For those already working in a corporate office or headquarters, chances are you report to, your manager reports to or your manager’s manager reports to an individual who has earned their Master of Business Administration. In today’s world, it’s practically a necessity for those looking to break the glass ceiling and enter the upper echelons of corporate management. An MBA is a solid degree to earn as the job market always seems to be hot for people with this type of educational background, according to US News and World Report. Basically, this program takes a scientific approach to management. Students matriculating in a Master of Business Administration program study various disciplines that include, but are not limited to accounting, finance, human resources operations and information technology. Many schools offer this degree and since it is particularly attractive to working professionals, a number of programs are available that fit working schedules. What Can I Do With A Master of Business Administration? For those with a strong work ethic and dedication to their corporate employer, MBA graduates can earn some pretty comfortable salaries. There are many career options to pursue depending on what field you want to concentrate on. The most well known careers where a Master of Business Administration is practically a must are those on the C-level. These would be your Chief Executive Officers (CEO) who generally serve as the head of an organization, Chief Financial Officers (CFO) who manage all the financial aspects of the company and Chief Information Officers (CIO) who manage all aspects of the company’s computer systems and Information Technology departments. Breaking in to the C-level management arena is a very tough task and very few individuals are successful. Fortunately, the holder of an MBA is also well qualified to hold lower, but also senior management positions. Business managers are the people who supervise entire departments or geographical areas, financial analysts are those that love to pour over company financial records and assist in reporting on the health of an organization, marketing directors manage a company’s marketing policies and direction, public relations specialists work to create an image of good corporate citizenship for their employers and many, many more. To be quite honest, the possibilities are endless and one would be well served to research all the opportunities available. Let’s face it, we live in a world of corporations and these organizations need people to lead them in all aspects of operations. For those individuals who are looking for advancement in a corporate environment, the Master of Business Administration is your ticket to success. The possibilities are endless in terms of what jobs you can get with an MBA.